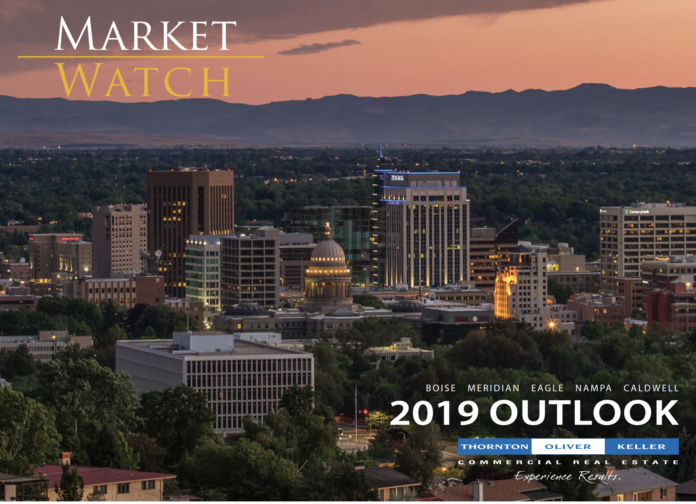 Thornton Oliver Keller is out with its 2019 Outlook for the Boise Real Estate Market (you can email TOK for a copy). The annual document looks at trends in the area across commercial, industrial and retail sectors – and gives a snapshot of the non-residential real estate sector is performing. 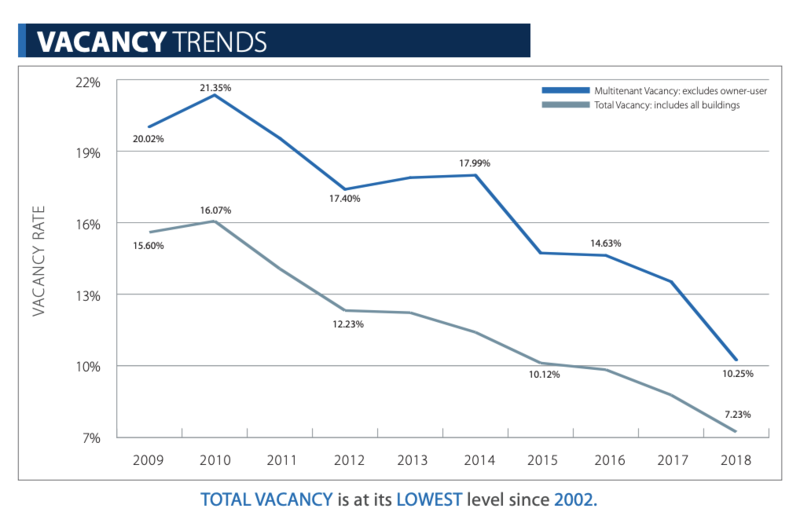 The number crunchers at TOK say the vacancy rate for office space dipped to its lowest rate in more than fifteen years – now down to 7.23%. That’s the tightest the market for office space has been since 2002. When you peel away “owner-user” properties (i.e. the JR Simplot Co. owns and occupies its own building), the vacancy rate stands at 10.25%. During a presentation at the Building Owners’ and Managers’ Association’s annual symposium Tuesday, TOK’s Al Marino said the current average lease rate for the area stands at $17 per square foot. While that’s an increase over recent years, it is markedly lower than other markets in the region, including Salt Lake City, Portland, Seattle and top towns in California. TOK says retail vacancy dropped from the prior year, to about 9.34%. The report looks at 2018 and does not include a variety of new vacancies, including nearly 300,000 in space to be vacated by Shopko in coming weeks, or the closure of the Sears store at Boise Towne Square that will add about 121,000 square feet of vacant space to the market. Analysts with TOK note that Boise’s increasing national profile are “piquing the interest of out-of-area retailers and retail growth,” but sounds a cautionary note about rapidly rising housing prices. The report notes the Boise Bench could be a new avenue for retail growth. (Disclosure: My family owns the Vista Village Shopping Center on the Boise Bench, though I have no direct stake in the business). New projects in Meridian, including projects anchored by both Costco and Winco, as well as the planned Owyhee High School could also drive new retail activity, according to TOK. The valley is seeing increasing demand for industrial spaces, according to TOK. A new 220,000 square foot warehouse for Capitol Distributing is expected to come online in Caldwell, and several large new warehouses will finish construction in areas of south Boise. One industrial user, Fresca Foods, left 85,500 square feet of space in west Boise for a new, larger facility in Caldwell with 183,000 square feet. “There are many companies planning to enter the Boise market, looking to lease multiple spaces between 5,000 and 50,000 square feet around the valley,” the report writers note. The report also covers the market for the investment market, open land and Magic Valley and East Idaho areas.